GetBackpacking! Up your game - GetGoing NC! As a backpacker, you already know the joy of heading into the woods with everything you need strapped snugly to your back. You love setting up your home-away-from-home, unfurling your sleeping bag and snugging in under the stars. You know also that the journey from the trailhead to the sleeping bag is not without challenges—maybe the trail is a bit more rugged than anticipated or there are water crossing; the forces of nature have a way of altering even well-known paths. Or perhaps you got caught enjoying nature and suddenly find yourself setting up camp in the dark. Or, possibly, you couldn’t find anyone able to take a last-minute weekend trip with you. We believe that, with the right knowledge and tools, you can overcome these challenges. To this end, we have developed a handful of intermediate backpacking classes designed to help broaden your backpacking skills. We’ll hike into the Hunt-Fish Falls area Friday evening, then spend Saturday exploring various water crossings in the Gragg Prong Falls area. 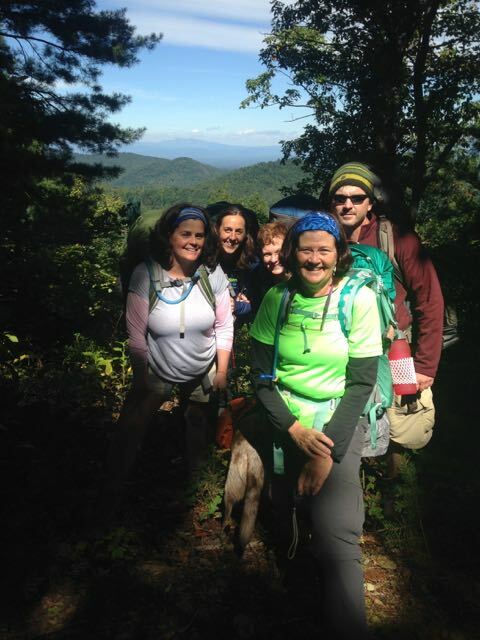 On Saturday evening, we pack up and hike in on the Big Lost Cove Trail to watch a great sunset over Grandfather Mountain, then set up camp in the dark. 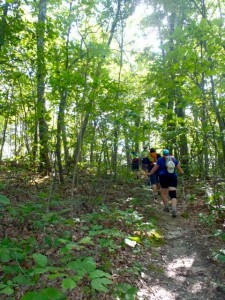 We’ll loop the Linville Gorge, starting at Table Rock on the east rim and hiking to Shortoff Mountain. Saturday, we’ll descend to the gorge and cross a 60-yard-wide swath of the Linville River before heading up the gorge. We’ll camp in the gorge Saturday night, then cross a narrower, deeper run of the Linville River Sunday. We’ll start as a group Friday evening and finish as a group Sunday: in between, you’ll be on your own (with instructors nearby). Pisgah National Forest, exact location to be determined. You can find details about each trip on our GetHiking! 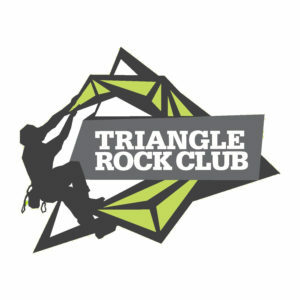 Triangle Meetup page, where you can also sign up. Enrollment for each trip is limited; if the class is full, please sign up on the wait list and we will plan to schedule an additional trip. Fee for each course is $75. Before the weekend, we’ll send you a guide that includes maps and descriptions of the routes, as well as tip sheets pertinent to the skills covered. At the planning meeting the Wednesday before each trip, we will review the route and tip sheets, and discuss appropriate clothing and specific gear. 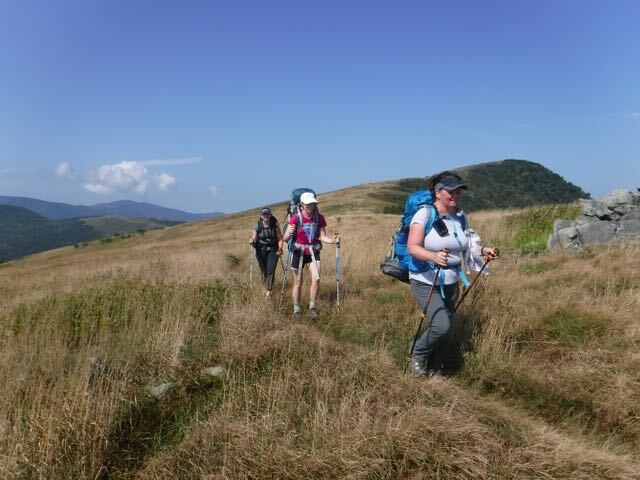 Note that for these trips, you’ll need trekking poles. Why? Find out here. Prerequisites: If you’ve gone through our Intro to Backpacking course, or have gone on two or three backpacking trips, you should have the basic foundation for this course. 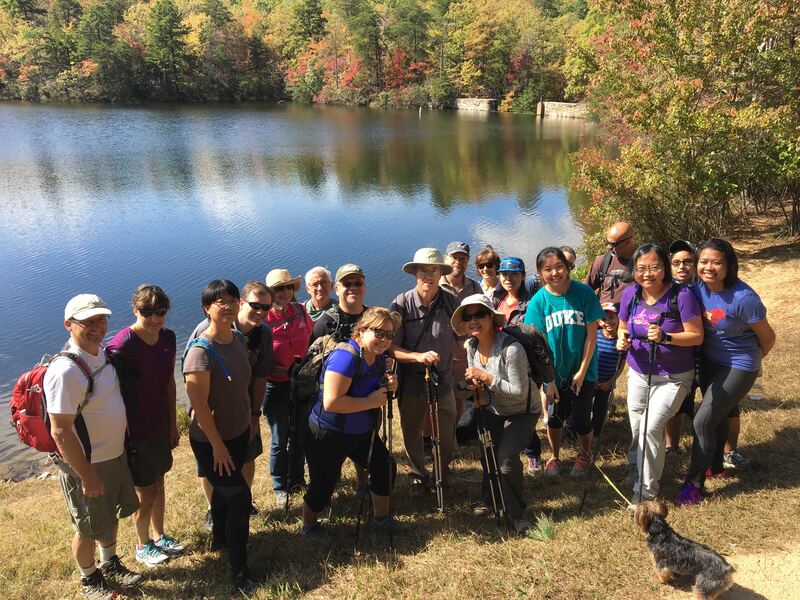 If we haven’t backpacked or hiked together, we’ll give you a quick phone call to ensure that the class is a good fit for your experience. These trips are about expanding your skills and your comfort zone, but as always, we won’t put anyone in a position that makes them unduly uncomfortable. Questions? Email me at joe@getgoingnc.com or call 919.791.6155. I look forward to being part of your next adventure.